Our experienced staff of athletic trainers in Franklin, TN, and the Cool Springs area have diverse healthcare backgrounds that allow us to treat a wide variety of conditions from acute pain to chronic pain. We have the expertize to handle all types of cases, ranging from treating kids and young adults to professional athletes, executives, exercise enthusiasts, stay-at-home moms, seniors, and the general community. 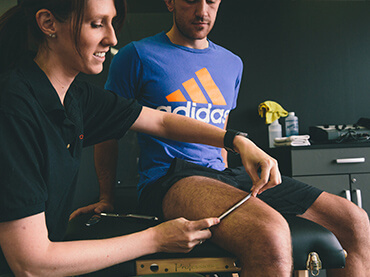 In order to provide the best-in-class sports rehabilitation fitness program, we ensure our trainers are certified in their respective fields and uphold the practicing standards of their professional state and national governing boards. Our Sports Medicine and Rehabilitation department differs from many other facilities that practice rehab, physical therapy or chiropractic care. Not only do we treat the client’s current symptoms, but we also fully investigate to discover the root cause of the pain and/or dysfunction. All of our exercise programs include one-on-one attention. By only seeing one client per a full hour session, we believe that we truly offer the best rehabilitation care possible and improve the overall outcomes.  We will provide you with a form where you can outline your source of pain as well as any needs and expectations that you have and we will create your rehab training program accordingly.  After filling out the form, we contact you to set up your initial rehab visit. During this visit we take you through our assessment and listen to you to make sure we fully understand your individual injury or source of pain. Based on your initial visit, we will create a rehab plan to help you eliminate the pain while also digging deeper as to how the injury may have started in the first place. At Chadwick’s, we offer the medical attention and care needed to get our clients pain free while also teaching them how to prevent future pain and injuries. Our goal is to return our clients to a place where there is no limitation for any desired hobby or daily activity. Our sports medicine program is what truly sets Chadwick’s Rehab program apart from the rest! 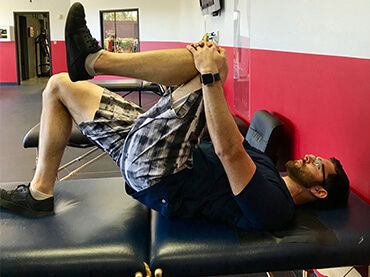 It is designed specifically for athletes who have finished with physical therapy but are not yet 100% “Game Ready” or for athletes who just can’t seem to move past a nagging pain or discomfort that has been present for a period of time. We work alongside physical therapists or under the direction and guidance of the athlete’s treating physician. Our focus is to truly get the athlete back to full speed on the court or field. 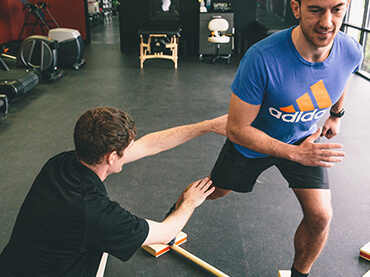 Our rehab staff works in tandem with our performance training staff to help the athlete make a full recovery as well eliminate any areas of weakness or movement deficiencies that could lead to re-injury. Give new meaning to ‘healing the right way’ with Chadwick’s Rehab Training Program. "Just over 3 years ago our daughter tore the labrum in her right shoulder while playing softball. After getting the opinion of two orthopedics that surgery was the only option if she wanted to continue to play ball, the third doc suggested that at her age (14 at the time) she should complete an extensive rehab before even considering surgery. That's when we were referred to Derek at Chadwick's. 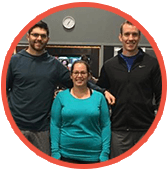 Derek developed a structured plan and after 6-8 weeks of shoulder care, she was able to begin a hitting and throwing program which allowed her to get back on the field. All credit to Derek for designing a program to stabilize her shoulder with a continued maintenance plan, all while avoiding surgery!! Just recently, a disc tear in her lower back sidelined her again. She began a core stabilizing rehab program with Derek and after some work, she is now back to unrestricted sports training in order to prepare for the upcoming season. Chadwick's has been like our second family and we can't say enough good things about Derek. He's very passionate about what he does and his knowledge and insight is an asset to us. We always knew our daughter was in great hands with him. He works closely with us to make sure we know what program she's on, what her progress is and what to expect. He's focused on doing the right things now to ensure her long term health. Derek has always been available to answer any questions or concerns we have (even during weekend tournaments). We have referred several friends to Chadwick's and will continue to do so." " After experiencing low-back pain thought to be caused by a sports injury, Dr. Johnson evaluated and treated my 15yo daughter for scoliosis, a condition never previously detected in yearly exams elsewhere. Dr. Johnson is extremely patient-oriented - always prompt in responding to any questions and/or concerns we may have. She is very knowledgeable in her field and extremely thorough in creating and communicating an effective treatment plan moving forward. We recommend her to family/friends without hesitation!" " I injured my lower back while exercising and had excruciating pain with the slightest movement. After resting for a week with no improvements, I went to see Dr. Johnson. Not only was she able to diagnose the specific problem right away, she took out the time to explain the exercises and techniques needed to help fix my problem. I was even more impressed by her when I got an email later that night (that also had my personal trainer CCed) reviewing what we had talked about in simple language that I could understand. My back felt better within 24 hours and I felt completely healed within the week. I would definitely recommend Dr. Lauren Johnson to my family and friends. "